The people love “Furious 7” and Vin Diesel, so it’s no surprise that both won Favorite Movie and Favorite Action Movie at last night’s People’s Choice Awards. 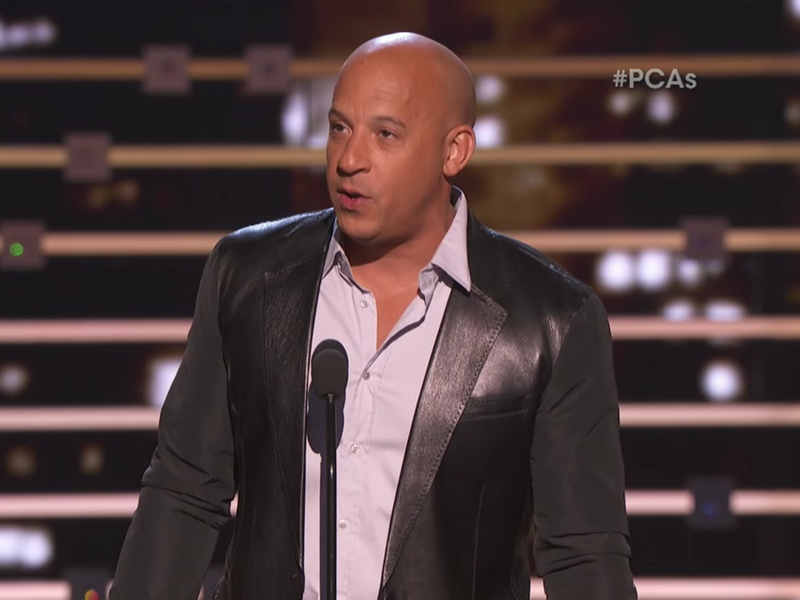 When Vin Diesel went up to accept the former award, he started out composed, but quickly appeared to get choked up and hold back tears while he talked about the “best cast in the world” and the work he and others have put into the franchise over the past 10 years. And, of course, his late co-star and friend, Paul Walker.